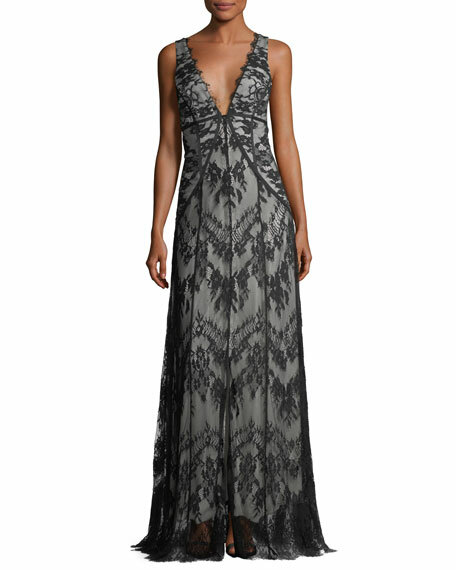 Haute Hippie "Doreen" paneled lace gown features hook-and-eye detailing down center front. 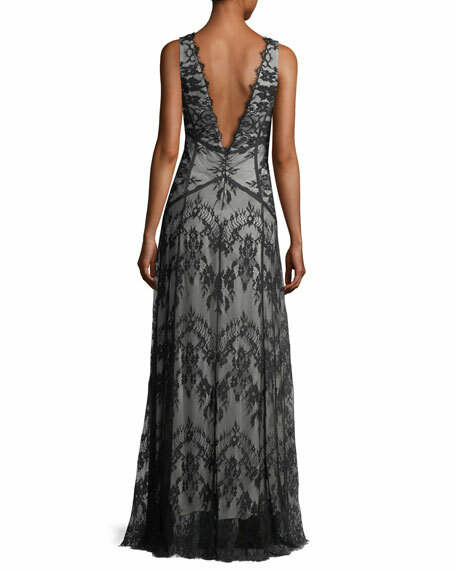 Scalloped V neckline; plunging back. Adjustable slit at center front. For in-store inquiries, use sku #2341779.